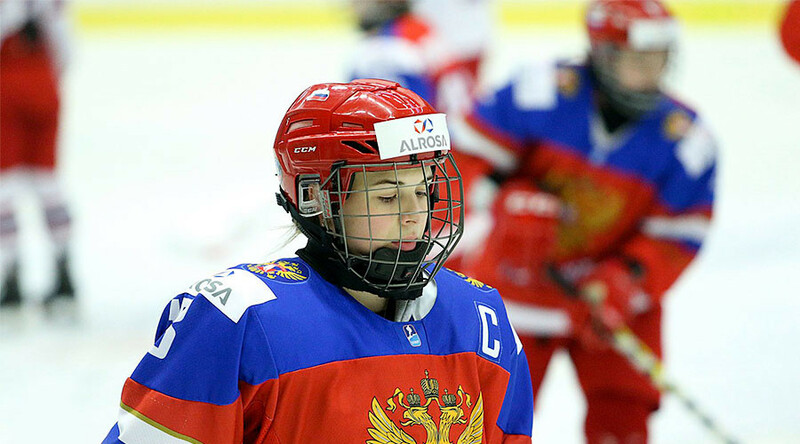 After winning a quarterfinal at the Women’s World Junior Championship in the Czech Republic against the host team (2:0), the Russian female under-18 team found themselves in a hostile situation, as the stands booed and whistled over the Russian anthem. However, the girls took the situation in hand to silence the outraged home crowd. The whole team threw their sticks on the ice and embraced. Swaying from side to side, they started singing to the tune of the national anthem. As the music neared the end, they were singing loud and clear as the Czech spectators calmed down. It is possible that game’s tense end, which included a clash behind the net, was to blame for the hostile outburst. Defender Nina Pirogova, the Russian team’s captain, who took a part in the scrap, later said that the fight had been caused by dangerous play in front of the Russian goaltender by the host team. “It’s important to guard your goalie and prevent any aggression from the opposite team,” Pirogova said to fhr.ru. It was later reported that Pirogova, as well as forward Oxana Bratisheva, were suspended following the incident and will miss the semi-final game against the United States on Friday.